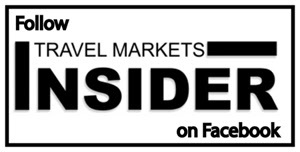 In a week filled with major retail developments in the region, TMI is very pleased to be featuring two in-depth reports in this issue – one on International Shoppes’ stunning new duty free store in JFK Terminal 1, and the other on Starboard Cruise Services’ next-level shopping experience onboard the breath-taking Celebrity Edge, set to sail on its maiden voyage next week from Fort Lauderdale. Keep an eye out for our next report, which will detail Duty Free America‘s brand new Panda Free Shop in Rio Branco, Uruguay, the largest duty free store to date on the border in the region, as well as a look at the new food and retail offer at Los Angeles International Airport’s new Terminal 1, developed in partnership with Southwest Airlines. International Shoppes‘ transformation of its duty free offer at New York’s JFK Terminal 1 took another giant step forward with the opening of a stunning, upgraded 5,800 sqf liquor, tobacco, confectionery, and luxury store last month, designed to elevate the customer experience to new levels. IS Vice President Scott Halpern speaks with TMI’s Michael Pasternak about the objectives behind the renovation at one of the premier gateway airports in the Americas, and what IS has in store for the future. Page 1. Starboard Cruise Services has revealed its “Sensory Shopping Journey” experience onboard the Celebrity Edge cruise ship. The next-level program features retail with a purpose for the specially created Malala Fund, as well as brands that epitomize sustainability and empowerment and extraordinary collections created exclusively for Celebrity Edge. Everything in the retail program is artisanal, the ‘first-ever,’ or revolves around an experience, says Lisa Lutoff-Perlo, President and CEO of Celebrity Cruises. The full story begins on page 5. Congratulations to Martín Eurnekian, CEO of Corporación América Airports and President of Aeropuertos Argentina 2000, who has been named the new Chair of the prestigious ACI World Governing Board. Page 1.